The RV-FR series robot’s “Next-Generation Intelligent Functions” make it simple to carry out work that has always defied automation.With an extensive selection of arm sizes, configurations and protection ratings the MELFA RV-FR-Series line of robots are ready to tackle all of your automation needs. 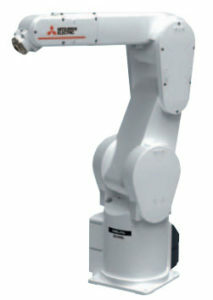 The RV-FR series offers a highly-dynamic 6-axis articulated robot for a high degree of quality. The double-arm structure not only provides a plus in terms of freedom of movement, but also more stability and versatility. 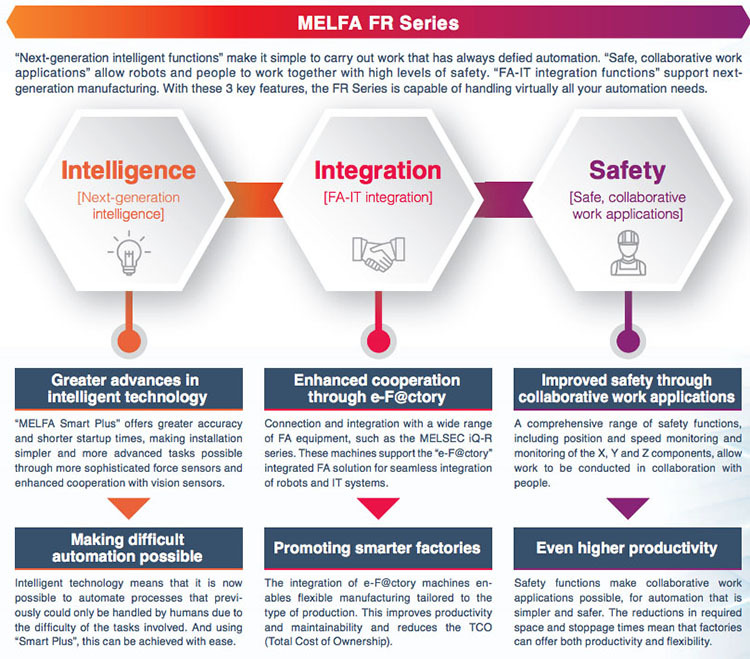 With the MELFA Safe Plus feature “safe, collaborative work applications” allow robots and people to work together with high levels of safety while still providing the speed and performance the industry demands.